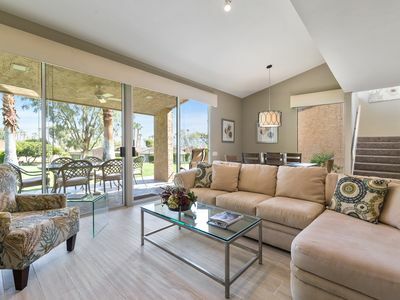 Gorgeous highly upgraded designer home with spectacular South mountain and Fairway views on the Jack Nicklaus tournament course! 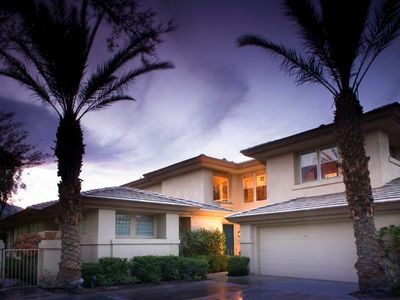 Imagine yourself in this private 4 bedroom/4.5 bathroom, inside the gated Legends Community of PGA West in La Quinta. 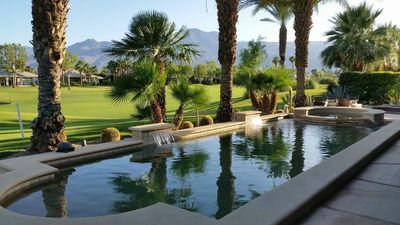 Begin your day with a cup of coffee on the back patio next to your private pool overlooking fairways of the private PGA golf course watching the gorgeous yellow and magenta sunrise highlighting the Santa Rosa Mountains. End the day with a stunning sunset as the sun slides behind the mountains just in front of you. It doesn’t get much better than this. 4,132 sq. 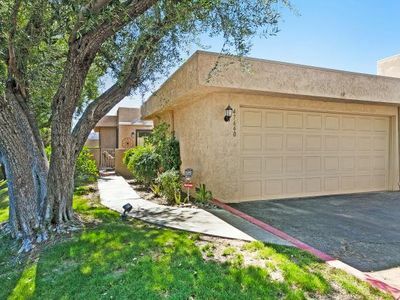 ft., single level golf course home. Free Wireless Internet and phone. 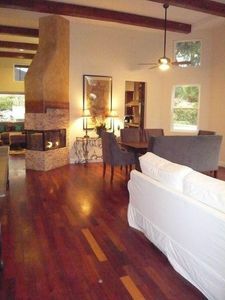 Features 3 bedroom/3.5 bathroom in the main house, and a separate Casita 1bedroom/1bathroom with an expansive living and entertainment area. 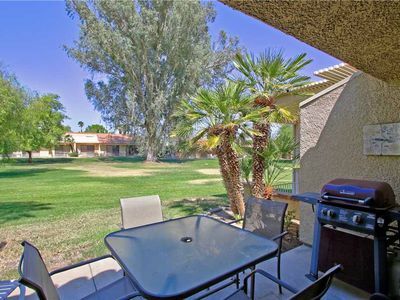 The guest casita and home share a charming and beautifully landscaped front courtyard. Every bedroom has its own suite with en-suite bath and flat screen TV. 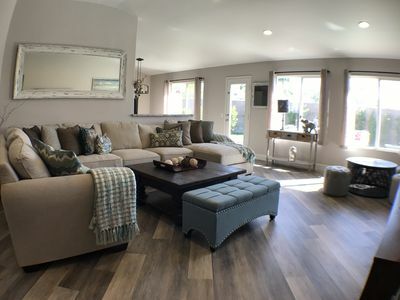 The home features a great room with wall to wall sliding doors, 70 inch flat screen TV, a custom walk-in wetbar, business center, entertainment center, pool and golf course views. 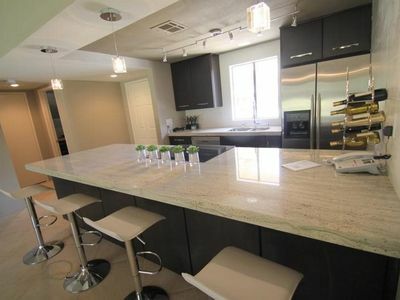 The gourmet kitchen features granite counter tops, a large island, 2 dishwashers, top of the line appliances and a spacious breakfast nook. 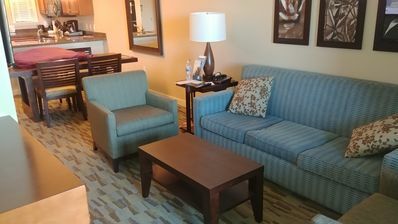 Flat Screen TV’s are in all bedrooms, living room, Breakfast Nook, outdoor patio, and Master Bath. 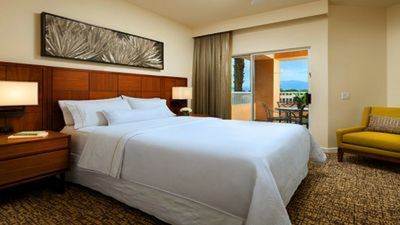 Designer touch included in all bedrooms with very comfortable beds and luxurious linens. The master suite features a King Size Bed and a sitting room with a lavish master bath with jetted tub, 60'' Pioneer Plasma TV, shower and dual vanities. 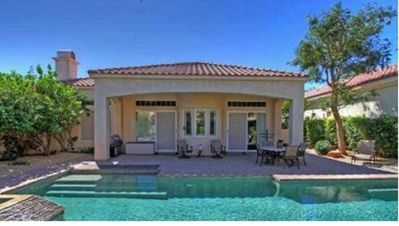 The patio is spectacular with an extensive covered patio, pool, cascading spa, 2 fire pits surround the pool area and built-in BBQ. Luxurious patio furniture and Flat Screen TV for your outdoor entertaining needs. 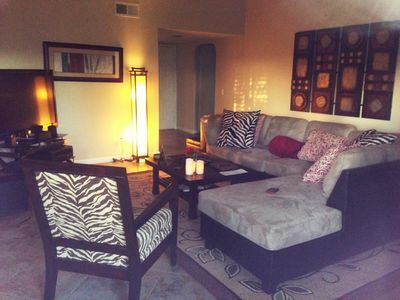 Built in central sound in the living room, master, front courtyard and back yard. 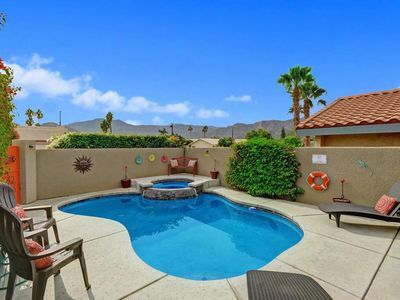 Sit back, relax, and enjoy the view of the Santa Rosa Mountains from the patio or from the house the incredible desert sunset. 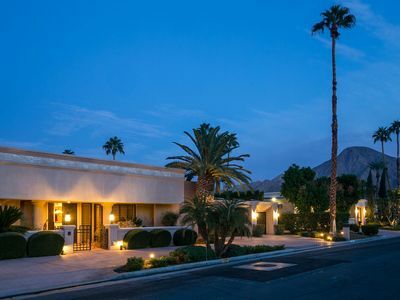 Located in the exclusive PGA West Community , within the city of La Quinta. 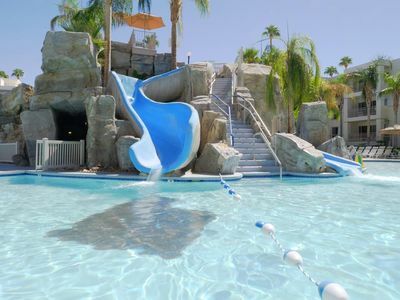 Just 45 minutes (25 miles) from the Palm Springs International Airport. 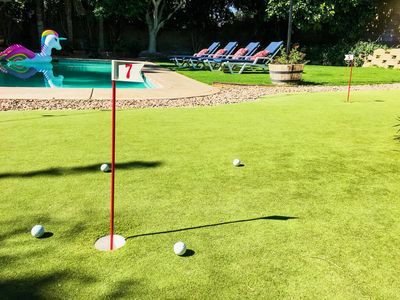 A five to ten minute drive to the Polo Grounds, the Indian Wells Tennis Gardens, three public golf courses within PGA West, and scores of other courses just outside of PGA West, and abundant shopping and restaurants. 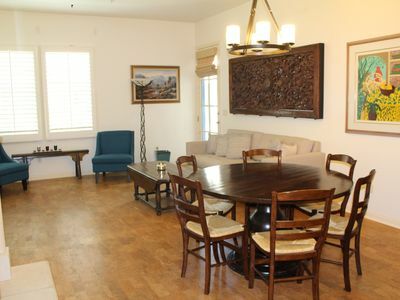 STUNNING MOUNTAIN VIEW COUNTRY CLUB April still available. Villa Villeta, Paradise for Family and Friends! 3 King beds! Special 25% Discount April 22-30 Only $165/night.